Losing that stubborn fat always seems impossible but the good news is you do not need to tackle it all alone, there are a variety of food items that can support you in your battle with the excess weight. 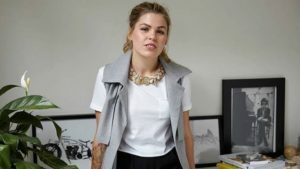 We know that how much you care about your health and you are desperately in search of solutions for getting rid of obesity but the methods should be safe n sound and that is why we decided to establish this article where we are sharing the food items that are nothing but the true gifts of nature and they are pretty helpful in losing fat. It is not merely a claim but as a matter of fact these gifts of nature can boost the process of metabolism or can stimulate those genes or hormones that encourage your body to lose weight. So, introducing these food items into your diet can actually be helpful for your weight loss as well as for your overall health. Have you ever heard the term “Slow carb”? If you haven’t then just for the record they are good for weight loss. Because, when you take a food item that comes in the category of slow carb, so it is a food that takes a longer amount of time to get digested and it implies, it will keep you fuller & satisfied. 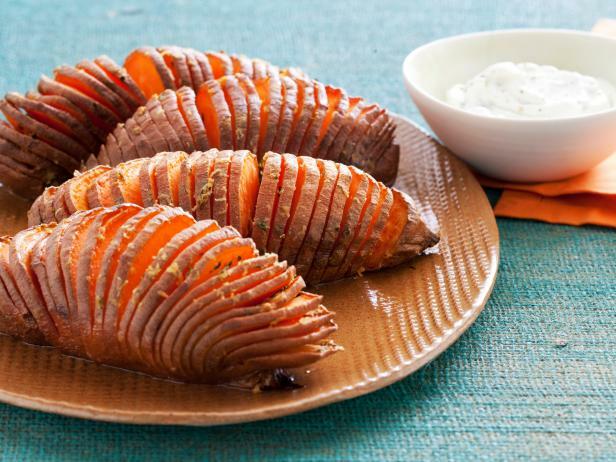 Sweet Potatoes are one of those food items that come in the category of slow carbs and they do possess all those characteristics that are associated to slow carb food items. Sweet potatoes do possess Vitamin A in a real ideal quantity and this vitamin, in particular, is good for inter-cellular communication process, vision, different functionalities of immune system and reproduction. The good point is all these benefits are possible in just a few calorie counts of 162, isn’t it amazing? Moreover, they are so versatile that you can pair up them with almost anything or you have various solo dishes of this divine food item. Bottom Line: add sweet potatoes as soldiers in your battle of fat loss and you will not regret later..! Hostility with carbs in the beginners to weight loss is quite common but to some extent, it is not based on the true facts because not all the carbs are the bad carbs, for instance, whole grain carbs like oats fall into the category of healthy food items. Additionally, people who introduce 3-5 servings of whole carbs in their daily servings tend to reduce 9% to 11% belly fat than those who take the same amount of carbs but in this case, the carbs are fully processed carbs like pasta, rice or bread, and this point has been proven by the University of Tufts in one of its studies. So, the point is valid but how does it work? Oats do come in the category of those foods that are high in fiber & have properties of burning slowly in your digestive system and keep you satiated for a long duration. For losing weight, it is essential for your body to make a calorie deficit that can result in refraining your body from storing more fat and encouraging it to melt those reserves of fat. Oat meal is helpful or your body when you eat it in the replacement of high caloric food, it is supportive in fat loss. These properties have been explained in one of the authentic scientific journals that named as Nutrition & Metabolism. 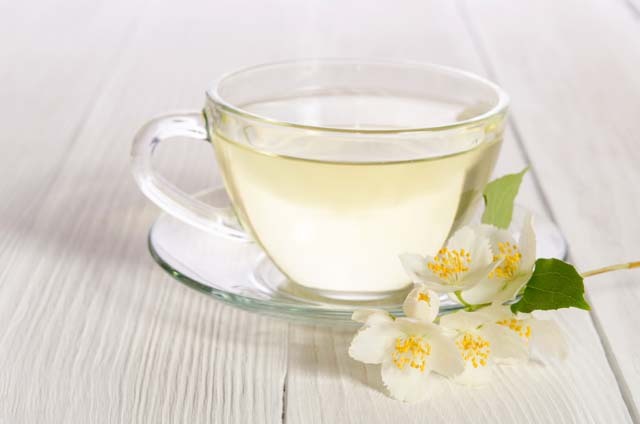 Additionally, white tea has different varieties and almost all of them have the same very effects with additional benefits of antioxidants, and they are light on calorie scale too. Bottom Line: Drink away your fat with the addition of white tea in your diet. Are you one of those people who consider that when you are on a fat loss journey, you are going to leave everything that includes your all time favorite indulgences? The Chocolate that contains 70% or more Cacao can be helpful in providing your weight loss extra support. 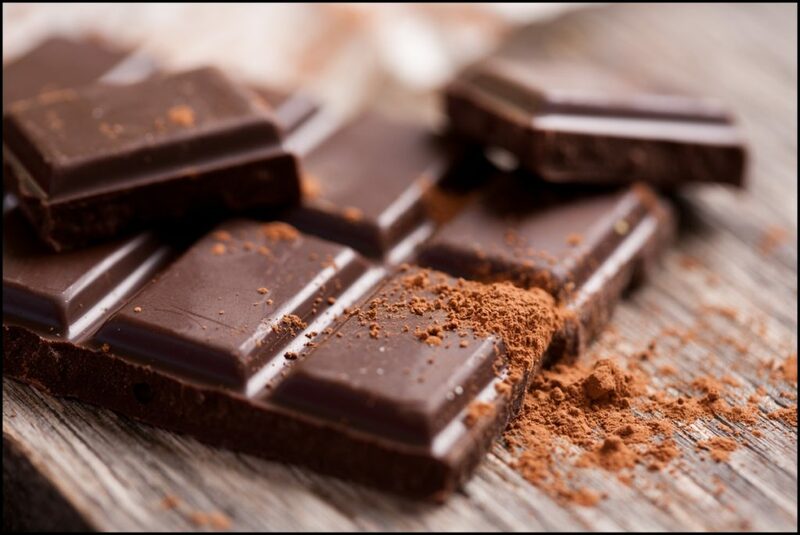 As per a study that was carried away in the State University of Louisiana, chocolate has the power to create compounds that are polyphenols and they are good for your gut health. There are a few more elements like fatty acids and butyrate that are also very helpful in boosting the human body in melting the fat like fuel for energy and they also happen to restrict the genes that are connected to cause the feeling of inflammation. Add 1 or 2 fruits to jack up the process of fermentation in your body to release all the previously mentioned compounds from the dark chocolate into your body. Bottom Line: Chocolate eating is good for your health as well it is good for losing weight too because it contains the high amount of polyphenols that are antioxidants. This humble food category just appears “humble” look wise only otherwise in terms of properties, pulses are truly magical potent if nothing less. 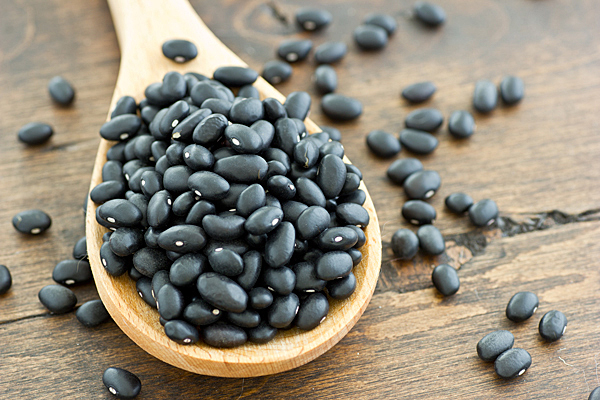 First of all, beans are ideal for starch resistance (slow digestive food) and black beans, in particular, they contain fibers that are insoluble and they appear to feed the bacteria in your guts that are healthy for you. Moreover, they also lead the generation of certain chemicals like butyrate that are super cool as they boost your body for fat burning. Just merely taken 10 grams of this type of food category can lead your body to loss 3.7 % belly fat over the period of 5 years. Bottom Line: Beans are totally a good option for weight loss. There are many different food items that are sun dried in different cultures around the globe and tomatoes are one of those items. 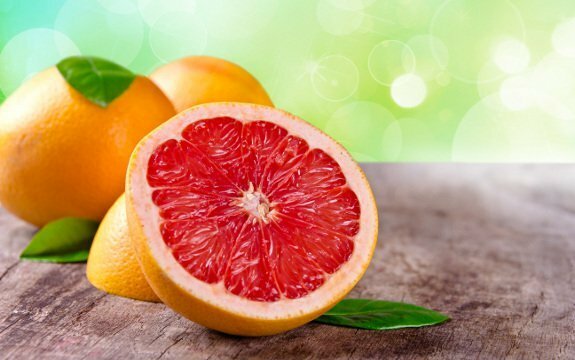 Recently in a Japanese study, it has been discovered that an element that is present in this red fruit (the name of the compound is 9-oxo-ODA). This compound surprisingly has power to activate the gene in your DNA that can burn excess fat. Moreover, tomatoes are a highly rich source of Lycopene and beta-carotene (by the way, these both compounds are antioxidants too), these elements can eliminate those harmful substances that are normally considered responsible for evoking the storage of fat. The best thing is that tomatoes come in the category of those foods that have more properties to offer after they are in the cooked form plus it has been proven that people who have a good amount of Lycopene and Beta-carotene in their diets are likely to have the lowest fat in their belly area and they also have the smallest circumference of their waists. 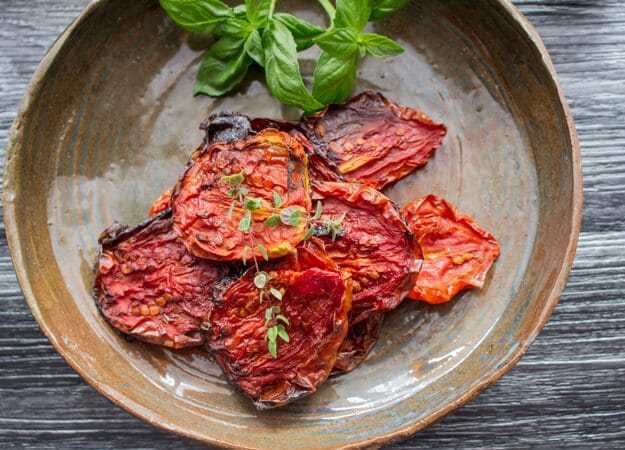 Bottom Line: add some sun dried tomatoes in your diet and they are even better if they are cooked because the Lycopene ratio in cooked tomatoes gets even higher. Simply a slice of grape fruit that you happen to add in your salad can be like a match stick that can start a change reaction for fat burning. A relevant journal to Metabolism has revealed that people who eat grape fruit just even for the duration of six weeks merely can reduce up to 1 complete inch from the area of their waists. Okay, so grape fruit is blessed with bioactive substances like Phytochemicals that are great at stimulating the secretion adiponectin (an essential hormone), It performs a crucial role in the human body for breaking down the excess fat where as another study indicates that this delicious fruit is capable of activating burning of calories in the form of brown fat cells plus it also happens to suppress the feeling of hunger naturally. Bottom Line: the fat blasting properties can be experienced with grape fruit intake even with just a few chunks of it! 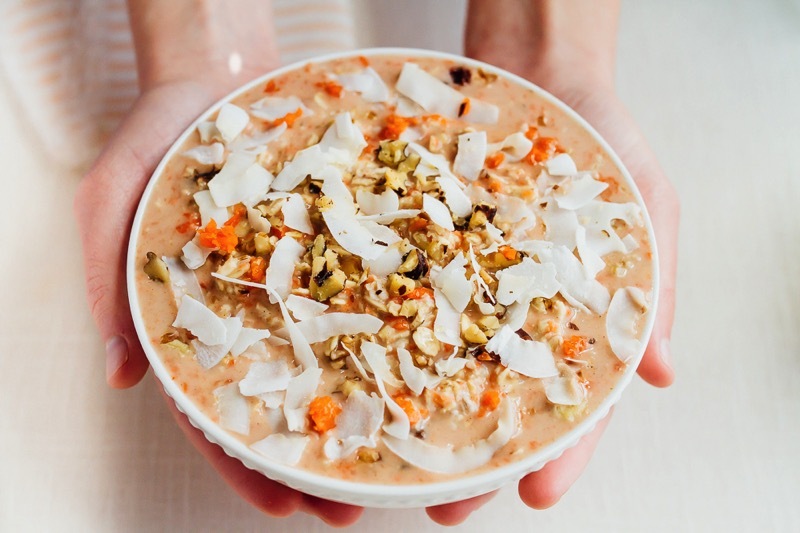 Coconut is a Tropical fruit that is already jam packed with beauty and health benefits. This is a quite interesting finding that the fat of this tropical fruit in the form of oil can actually make you slim. 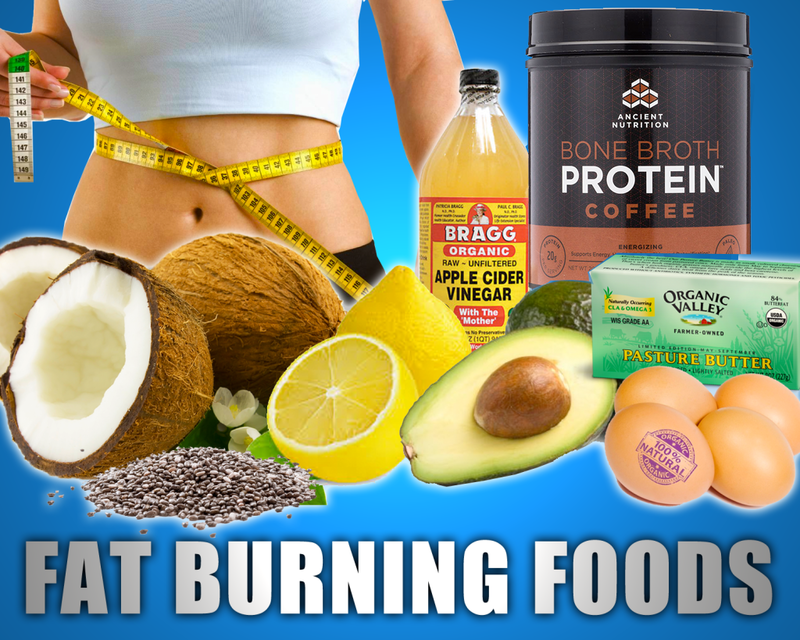 There are numerous studies which confirm such findings that coconut oil can literally torch the fat away specifically in your belly or lower abdominal area. Moreover, in a study that was conducted on a reasonable number of subjects (participants) concluded that the group which was asked to add 2 tablespoons oil of coconut in their diet and the other group which was asked to add 2 tablespoons oil of soybean, both experienced weight loss but the group with coconut oil actually experienced reduction in the waistlines up to a significant mark. 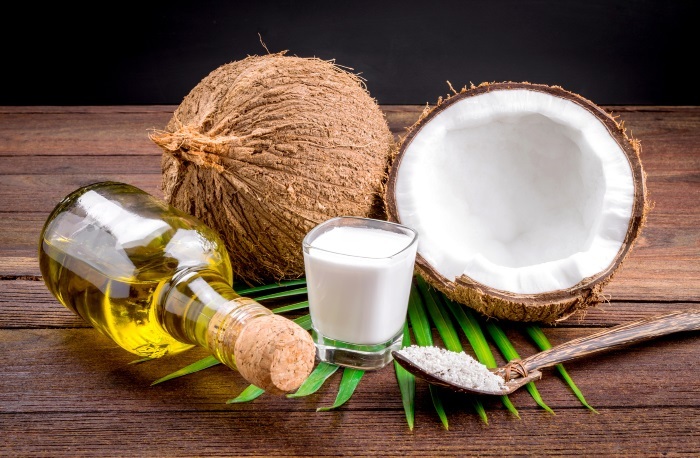 These results were possible thanks to the Lauric acid and Triglycerides C.O.’s medium-chain that help coconut oil to be burned as the energy source rather being stored in the form of fat. Bottom Line: Coconut oil is one of the apt choices among all the oils that are edible ones. Dried spices are not only great to add flavor to your food but also they can provide some really unique and great health benefits whether you add them to your cooking or just sprinkle them a bit on to your food, they are equally beneficial. Cinnamon is one of those spices that can provide a delicious aroma to your cuisine but it can also stabilize the levels of insulin in your blood or can reduce the feeling of hunger. Several studies are conducted on it and they have confirmed that a compound that is part of cinnamon (Cinnamaldehyde) is apt for losing waistline fat without causing any trouble to the consumer plus this spice is rich in antioxidants. 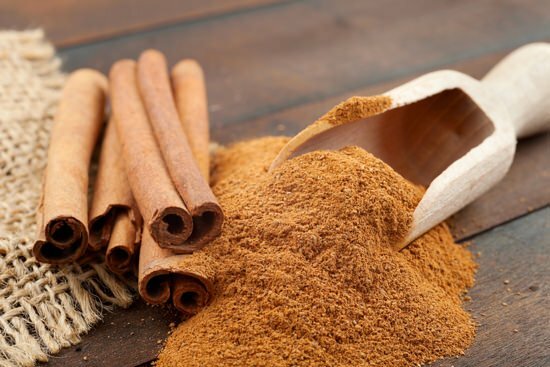 Bottom Line: Have some cinnamon in your diet to experience its antioxidant properties. Forbidden rice another name for black rice, this is a type of rice that is likely to be less popular than brown or white rice in all over the world but it is an ancient grain that has been pretty popular in the royal cuisine because of its tremendous benefits that are not normally found in the other kinds of rice. 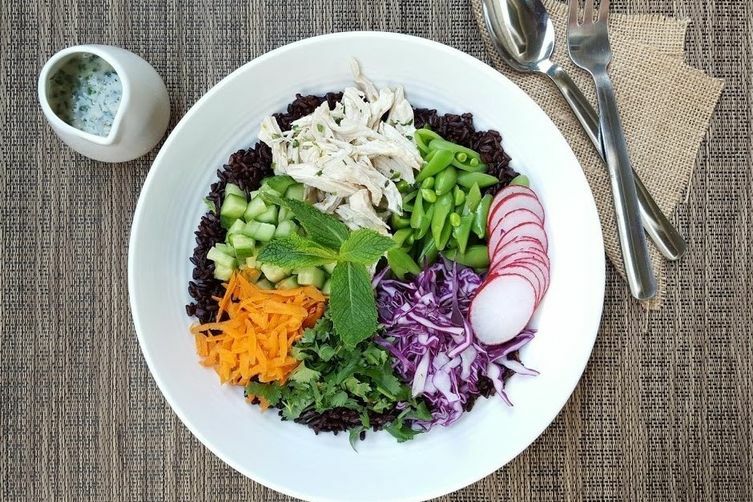 Black rice offers antioxidants that are great at fighting the different diseases or can even stop their formation, diseases that are related to heart, cancers of several types or diabetes. This particular type has anti-inflammatory characteristics and a higher index of dietary fiber. Moreover, the rice has been in use of royals for thousands of years in China but now it is getting equally popular in the area like Europe, Australia, and the USA as the scientists are carrying several types of research on black rice to understand this category fully. Bottom Line: Black rice is good at the benefits. All the previously mentioned food items are highly helpful for fat loss and they have been selected carefully. But did you know? You happen to multiply the great effect of these food items if you do some exercise and introduce some healthy habits in your life. Giving a try is a must! Where to Buy Phenq Diet Pills Online?